Students at the Fort Trumbull Campus in New London, circa 1946. 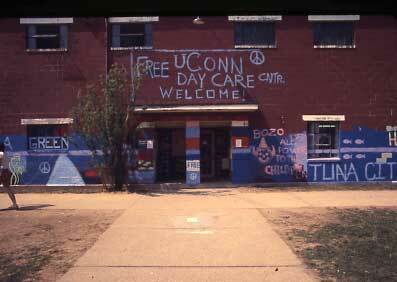 UConn, like many other American universities, experienced a period of significant growth during the immediate postwar period in terms of enrollment and campus expansion. Long-serving president Albert Jorgensen struggled to accommodate the influx of returning students, mostly veterans, which doubled the university’s student body to almost 3,300 by 1946. 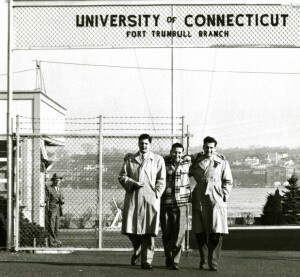 The opening of the Fort Trumbull campus in New London, previously an officers’ training school acquired by UConn in 1945, provided a partial solution. Hundreds of returning servicemen were sent there to resume their education, receiving two years’ instruction at Fort Trumbull before transferring to Storrs for their junior and senior year. While effective, the campus was meant only as a temporary measure; it was returned to the federal government in 1950 and demolished in 1954. 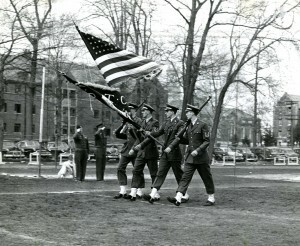 An Air Force ROTC Color Guard passes in review on Gardner Dow Field, 1952. Change came to ROTC as well. The program was not only reinstated under the prewar model, but joined by a new branch. So-called Air ROTC programs had been in existence since the early 1920s, but not at UConn, which only maintained “an Infantry unit of the Senior Division, Reserve Officers’ Training Corps” in accordance with its original 1916 mandate from the War Department. That changed in the fall of 1946 when the university’s application for an Air ROTC unit was accepted by the War Department, and Lieutenant Colonel Converse Kelly and Major Robert Eaton arrived on campus to oversee its formation. This action was superseded a year later by a Department of Defense order transferring all personnel of the Army Air Forces, including Air ROTC units, to the newly-created United States Air Force. Air ROTC became Air Force ROTC, and the instructors at UConn became known as Assistant Professors of Air Science and Tactics. The new program produced its first officers in the spring of 1948, and by the early 1950s both it and Army ROTC had relocated from the armory to more spacious offices in the basketball hangar. 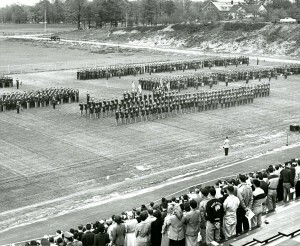 UConn Army and Air Force ROTC units assembled at Memorial Stadium for Military Day observances, 1955. 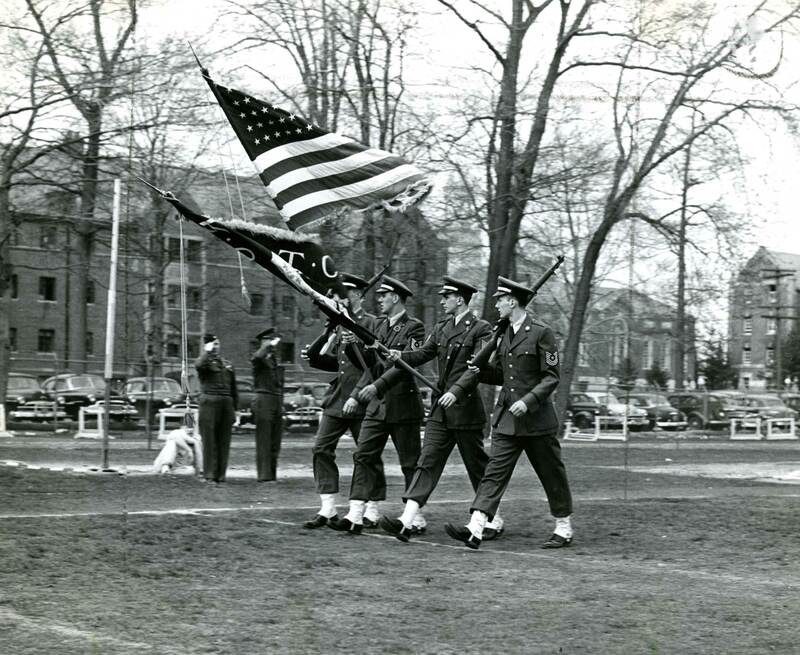 In many ways the 1950s represented the “golden years” for UConn ROTC. As the campus grew, so did the program, and by the middle of the decade the combined strength of the Cadet Regiment (Army) and Division (Air Force) exceeded 2,000 students. With the increased enrollment came a proliferation of military-related social activities and clubs. In 1950, a UConn chapter of the Arnold Air Society was founded. Open to Cadets in the advanced Air Force ROTC, the aim of the organization was, according to the 1951 Nutmeg, “to help accomplish the mission of the Air Force, aid the Air Scout program, and to recruit for the ROTC program.” The chapter is still in existence today. An associated all-female group known as Angel Flight, founded at UConn in 1956, acted as an AFROTC auxiliary of sorts; members served as hostesses at Air Force ROTC events, helped Cadets type term papers, and sponsored events on campus. Not to be outdone, Army ROTC established E Company, 10th Regiment of the National Society of Scabbard and Blade in the fall of 1951. A military honor society that promoted scholastic and leadership excellence on college campuses, the UConn chapter of Scabbard and Blade numbered some twenty-two Cadets by 1957 and was best known for its sponsorship of the annual Military Ball. Company F-12 of the National Society of Pershing Rifles came to Storrs in 1954. As a military fraternal organization, its members were dedicated to promoting the principles of discipline, loyalty and devotion through a focus on close-order and exhibition rifle drill. 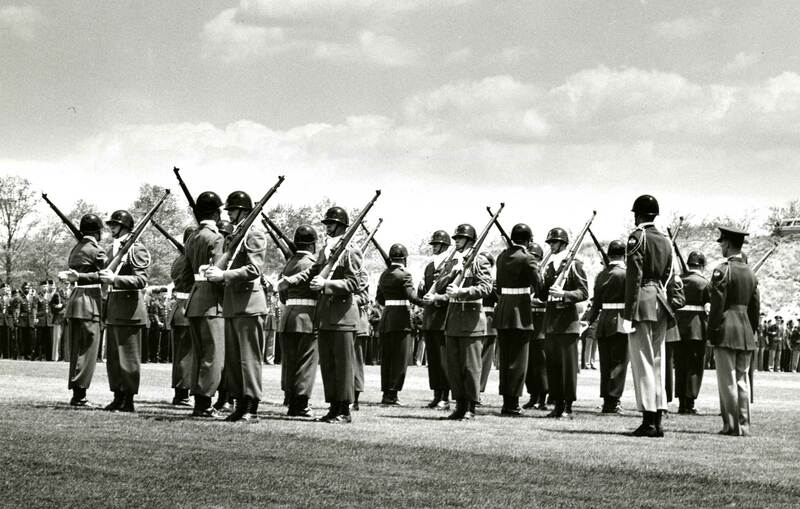 Company F-12, UConn Pershing Rifles performs during a Military Day ceremony sometime in the 1950s. 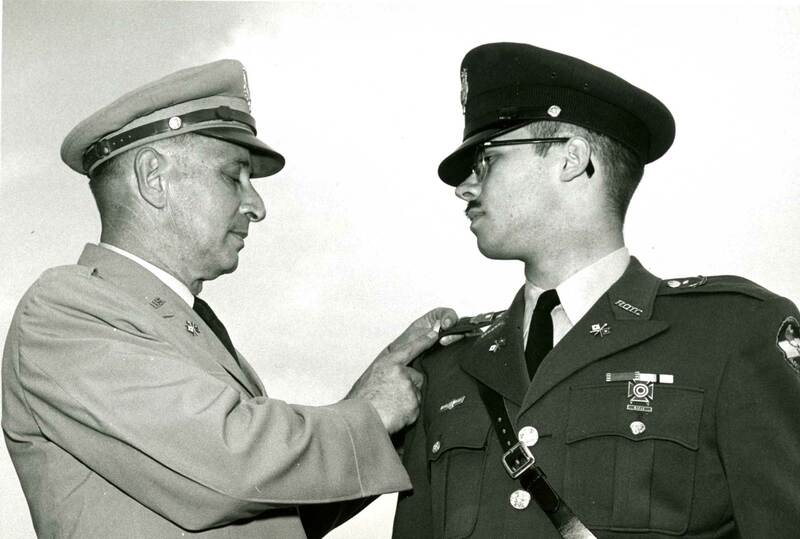 Brigadier General Walter Larew pins Second Lieutenant rank onto his son Karl’s uniform during Military Day ceremonies, 1959. Prosperous as they were, the 1950s were not without hardship. The war in Korea, though perhaps less impactful than the Second World War had been on the campus, claimed the lives of seventeen alumni, including at least two Army ROTC graduates. The Cold War, and the U.S.-Soviet tension that characterized it, also took their toll. In 1958, Air Force Captain Edward Jeruss (’47) was killed when his unarmed aircraft was shot down over Armenia, and Lieutenant Paul Drotch (’57) died in May of 1960 while conducting a training flight near Guantanamo Bay in Cuba. 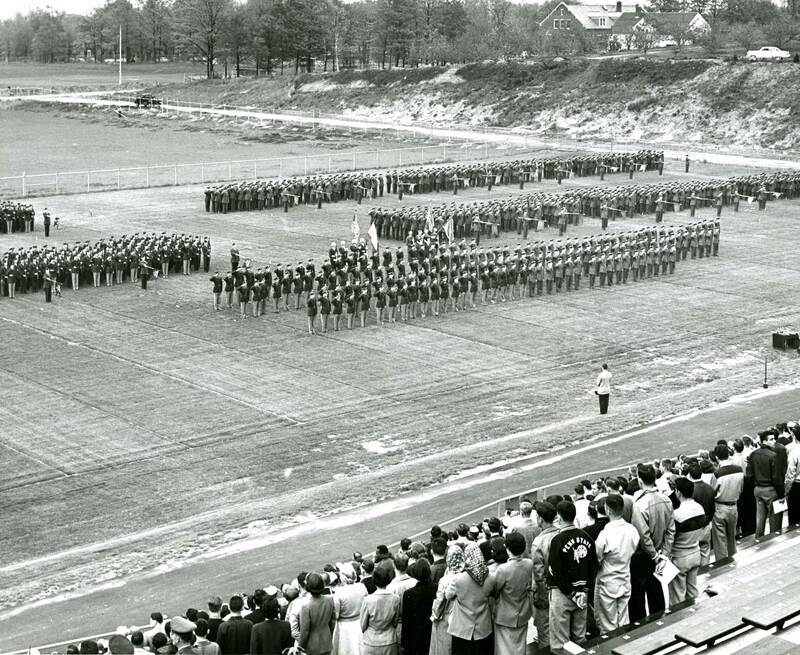 Still, the growth and improvement seen during the fifteen or so years following the end of the Second World War represented a high point in the history of UConn ROTC—especially considering what the 1960s would bring. The decade began with a major shift in ROTC curriculum. In 1935, President Albert Jorgensen had arrived at UConn amidst a wave of protest against compulsory military training on campus. In the early 1960s, as he prepared to retire as President Emeritus, the issue had again come to the fore. In December 1961, after several months of debate, the Board of Trustees voted to drop the mandatory basic ROTC course beginning with the 1962-63 school year. The reason? In the words of President Jorgensen, “required ROTC is not considered essential to production of the necessary number of officers for the Armed Forces.” The decision at UConn reflected the general opinion of the Department of Defense that a large pool of reserve officers, and thus the compulsory ROTC program that produced them, was no longer vital to national defense as it had been previously. It was felt that an all-volunteer force could adequately meet the military’s manpower demands. Student response to the decree was exceedingly positive; the Student Senate had for years notified the Trustees that the student body was in favor of voluntary ROTC, and now they had finally gotten their wish. Many students believed that while enrollment numbers would plummet, the new system would lead to “less confusion, bad feelings and apathy among the cadets,” because those who remained in the program would truly want to participate. 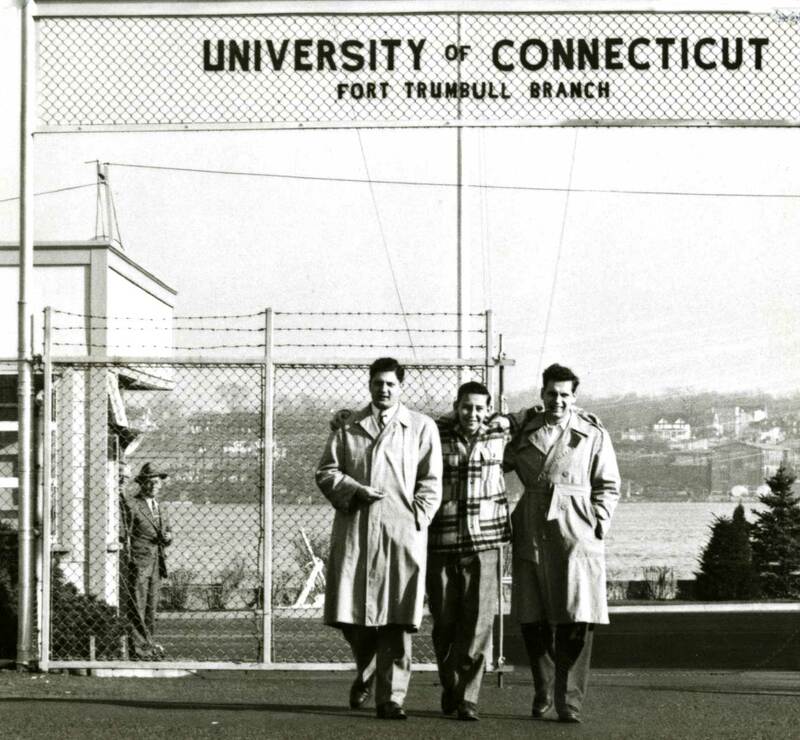 In the fall of 1962, as the first year of voluntary ROTC got underway, Jorgensen left campus and UConn welcomed its new president, Homer D. Babbidge Jr.. Almost immediately, Babbidge gained favor with the campus community for his quick wit and empathy when it came to student issues. In the first few years of his tenure, he greatly expanded the library budget, rejuvenated interest in the humanities, social sciences, and fine arts, and took steps to increase private funding for the university. The popularity he gained early on would be put to the ultimate test during the latter half of the decade, however, as events abroad manifested themselves at Storrs in a major way. 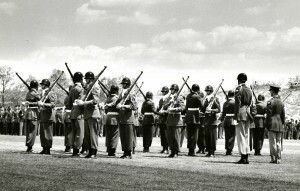 Cadets and Protesters at Military Day ceremonies, May 1968. The trouble continued into the fall semester. 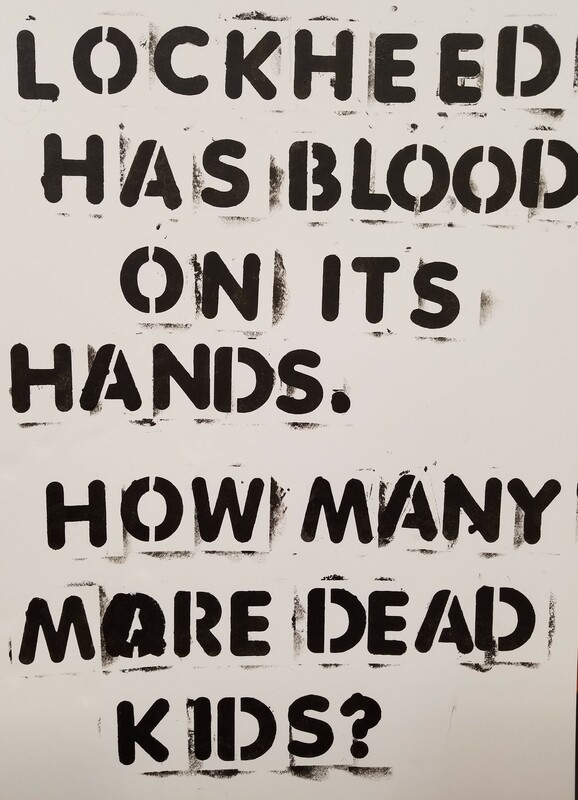 On two separate occasions, SDS-backed protesters disrupted interviews taking place on campus between students and recruiters from the Dow Chemical Company and the Olin Corporation, both of which produced weapons and ammunition for the military. During the Olin protests, on what he would later refer to as “the saddest day of my life,” Babbidge was forced to call in the state police to disperse the crowds and restore order. Blows were exchanged, and several students and faculty members were arrested. Similar actions against on-campus interviews continued into the 1969-1970 school year. 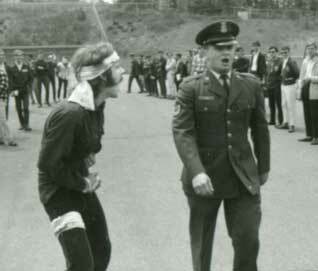 Tensions reached a boiling point in May of 1970, when National Guardsmen shot and killed four student protesters at Kent State University in Ohio. The incident sparked a new wave of unrest at UConn and elsewhere, as calls for a nationwide student strike led to requests that classes be cancelled for the remainder of the semester in order to allow the campus community “to respond in a constructive way to this ominous situation.” The UConn chapters of SDS and the Black Student Union issued a number of demands, including the end of hostilities in Southeast Asia and the abolishment of ROTC, with the intention that the hangar at UConn be converted into a free on-campus daycare center. 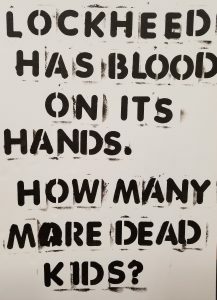 When the University Senate failed to act on the latter issue, students took matters into their own hands, and occupied the hangar on May 11th for a “paint in.” Peace symbols and other related artwork were applied to both the interior and exterior of the building before the group dispersed that night. In a counter-protest, some 300 students who supported Babbidge and the ROTC signed up to repaint the building and repair the damage done. UConn ROTC Hangar, also known as "the Cage." 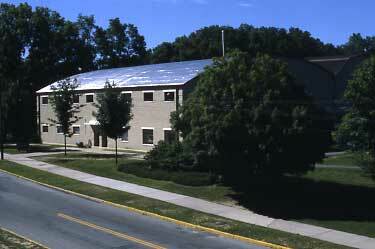 This site is now occupied by the UConn Foundation Building. 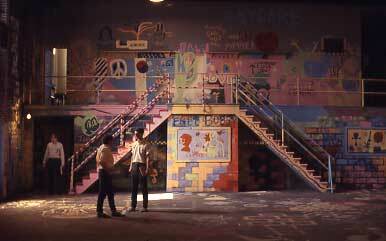 The ROTC Hangar's new paint job, May 1970. Interior, ROTC Hangar, May 1970. 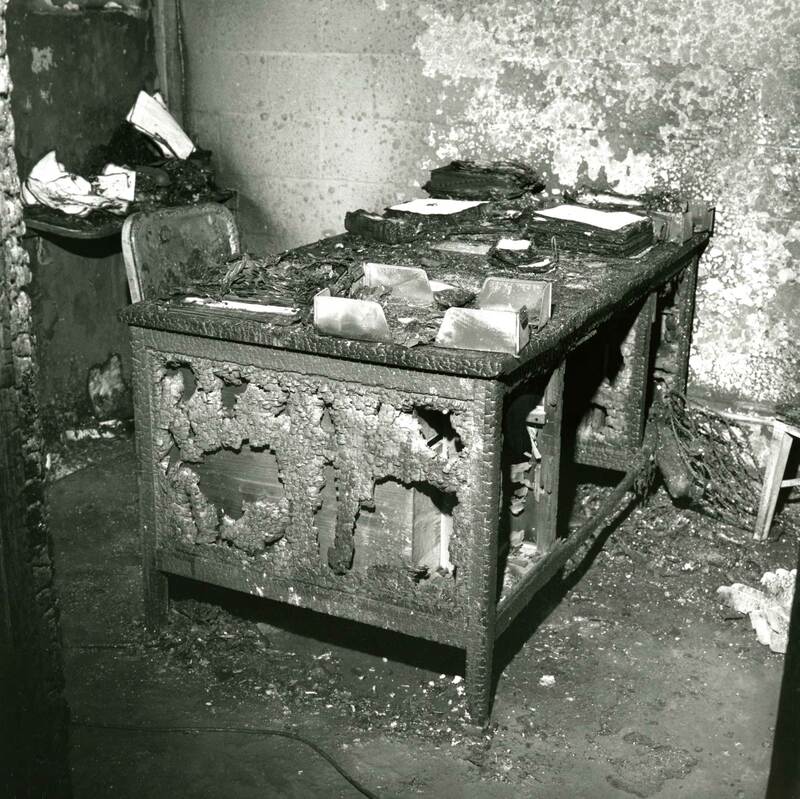 The charred remains of an office in the ROTC Hangar, December 1970. It wouldn’t be the last time that the hangar was targeted that year. In the early hours of December 15th, 1970, a Molotov cocktail was thrown through an office window, and flames soon engulfed several rooms inside the building. The UConn Fire Department was able to contain the blaze, and no one was injured, but substantial damage was done to three administrative offices. Although UConn Police and the FBI began investigations immediately, a perpetrator was never identified. It was a depressing end to a difficult period for UConn, Babbidge, and the university ROTC. The future of all three remained unclear as the new decade began and the war in Vietnam showed no signs of stopping. In the fifth and final installment of this series, we’ll look at the resolution to the events of 1967-1970, the introduction of women to ROTC, and the ever-changing relationship between the university and its Cadet units during the 80s, 90s, and present day. Stave, Bruce M. Red Brick in the Land of Steady Habits: Creating the University of Connecticut, 1881-2006. Lebanon, NH: University Press of New England, 2006.